Welcome to the online home of Phil Arthur Pottery. 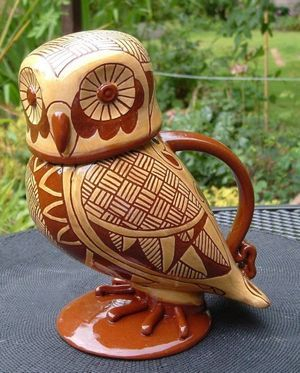 I am a potter based in North Norfolk specialising in terracotta slip decorated bird jugs. I hope you enjoy this web site and looking at the photos of examples of my work. I will be exhibiting at a number of events this year and there are full details of these, and the galleries where my work is stocked, on the Exhibitions page. Please have a look and come to an event if you can.